Important: To ensure that passwords and other data stored in your keychain are secure, make sure to set up a login password for your computer. For more information, see Change the login password. 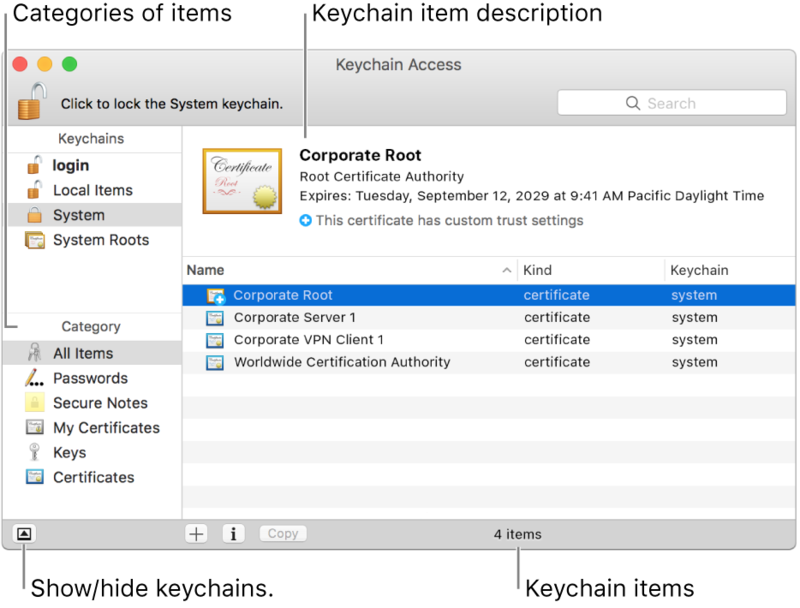 Keychain Access works in collaboration with iCloud keychain, which lets you share keychains with your other devices. To create and manage your iCloud keychain, sign in to iCloud with your Apple ID. 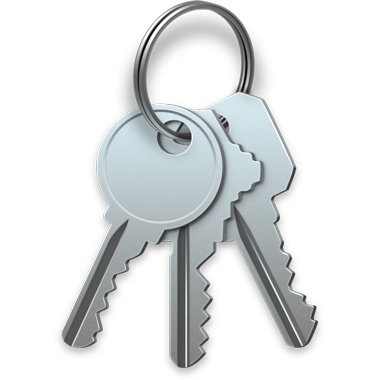 For more information about iCloud Keychain, see the Apple Support article Frequently asked questions about iCloud Keychain.